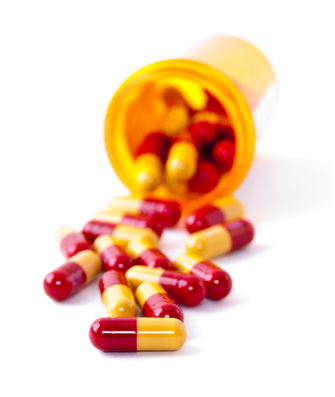 Your pharmacy will provide patients with a repeat prescription counterfoil that lists your regular medication. It is practice policy not to take prescription requests over the telephone as many medications have similar sounding names that can be misheard or misinterpreted over the telephone and this policy is in place to reduce the risk of the wrong medication being dispensed. If you are using your repeat slip please indicate clearly the medication you require and return the slip to the practice by hand, by post or via a friend. If you do not have your repeat slip available, a note stating your name and address and the medication that you require will be acceptable. Please also indicate which chemist you intend to collect your medication from. Alternatively you may wish to collect the prescription slip from the surgery. The pharmacies in Beer, Colyton, both Lloyds Pharmacies in Seaton and Tesco in Seaton collect prescriptions from the surgeries and will make up your medication ready for you to collect from them. If you wish to order your prescription using this website you will first need to register for our online services. Please call in to Reception with some form of photographic identification and we will issue you with a password. We aim to send prescription requests to the pharmacy within 48 hours. However, we would like to remind patients that if a prescription request is left at the surgery on Friday, it will not be sent to the pharmacy until the following Monday afternoon. In the case of a Bank Holiday weekend the prescription will not arrive at the pharmacy until Tuesday afternoon. We will always do our best to assist any patient without a sufficient supply to carry them over the weekend. As a practice we have carried out a significant amount of work to reduce the amount of wastage in prescribing. We generally only prescribe one month’s medication at a time. This means that if your medication has to be changed for any reason there is not a vast amount left that cannot be used. Under current regulations the pharmacist is not allowed to take medication back into stock once it has been dispensed, even if it is in an unopened packet. This makes it even more important that we keep prescribing at a sensible and safe level and only prescribe in monthly quantities. We would ask that you do not order medication simply because it is on your repeat slip, only order what you need and are currently taking. Please help us keep waste to a minimum and contribute towards saving thousands of pounds of NHS money each year. For more information, click here. Always return out of date medicines or medications you are no longer taking to your local pharmacist and they will dispose of them safely.